Neighbourhood Connect…because life is better when we belong. 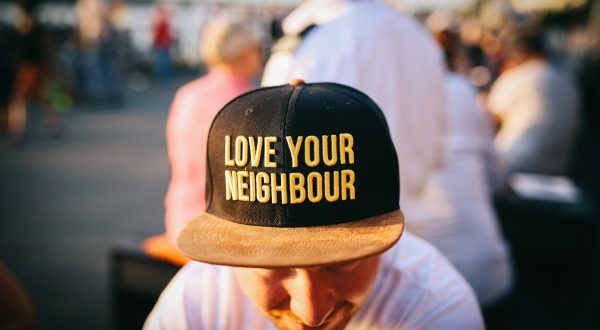 At Neighbourhood Connect (formerly known as the Street by Street Project), we believe that living in a connected neighbourhood makes us feel happier, safer and more supported, so we’re creating a movement to bring back that lovin’ feeling across Australia! If you’ve ever been part of a friendly neighbourhood that made you feel like you belonged, count yourself amongst the lucky ones. Research has found that one in four adults experience loneliness and our busy lifestyles mean fewer of us know and trust our neighbours than ever before. We make it easy for you to kick off a gathering of neighbours. We provide free resources–ideas, examples, tools–plus encouragement and support along the way. Groups are informal, fun and can connect over a range of activities: chats over coffee, or a meal, sharing stories and music, organising clean ups and gardening, lending a hand when needed…just about anything that suits the group! Relax, there are no costs involved – we are a not-for-profit group who genuinely believe in the value of connected neighbourhoods. We’re also a friendly bunch and would love to chat with you. Are you keen to build a more connected neighbourhood where you live? We have free resources – ideas, examples, tools, encouragement and support! 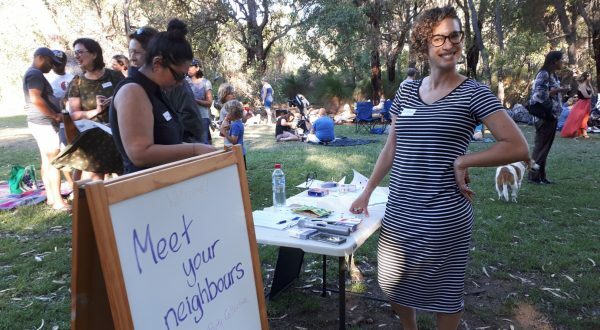 I am mightily impressed with the Neighbourhood Connect initiative - it's a particularly good example of the positive action that can be taken to deal with the malaise of social fragmentation, isolation, loneliness and anxiety. Thank you for your kind invite. It’s brilliant! I’ve been wanting to gather the neighbourhood for over 10 years now but never managed to get round to it. Such a great initiative! Our neighbourhood get togethers have included a progressive dinner, street clean-ups, a cake bake-off and a shared backyard garden blitz. They are informal, fun and most of all have helped us feel more connected as a community. Hilton Heights Neighbour Group, WA. Our event went really well! About 30 people turned up which was fantastic. Lots of people with children! I'm really excited by the first picnic and really looking forward to organising another one! Acknowledgement to Country: We acknowledge that we are living on Aboriginal land and acknowledge the traditional owners of this land. We pay our respects to Aboriginal Elders past and present.